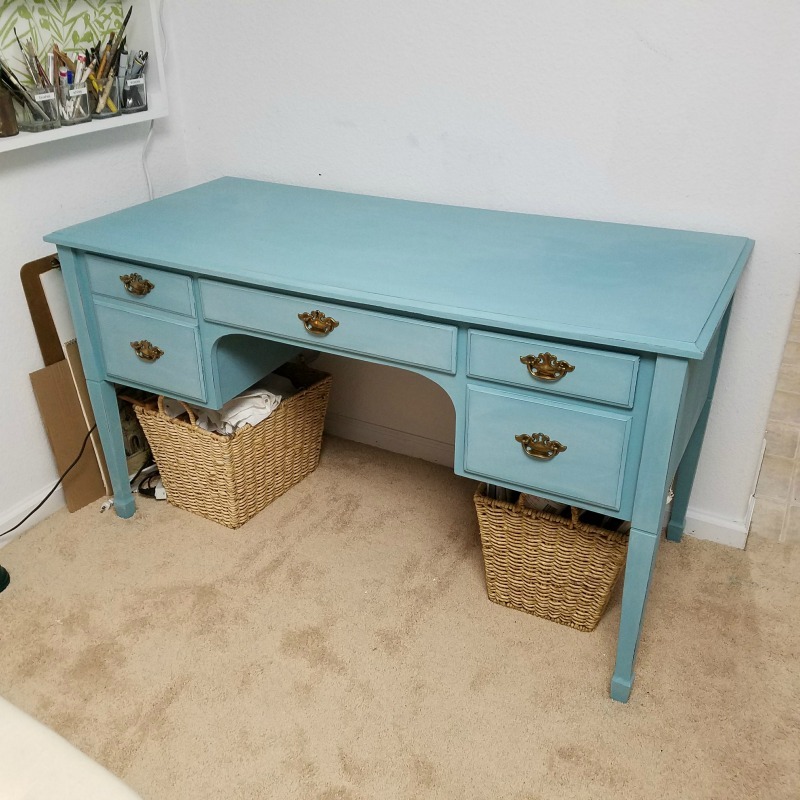 A Fancy "New" Art Desk - good ole chalk paint revivification! Head's Up! After I recuperate the rest of April from hand surgery, I will be resuming my painting classes at Riley Street - Loose and Expressive Acrylics (and Mixed Media). and one Monday afternoon opening 1 - 3. 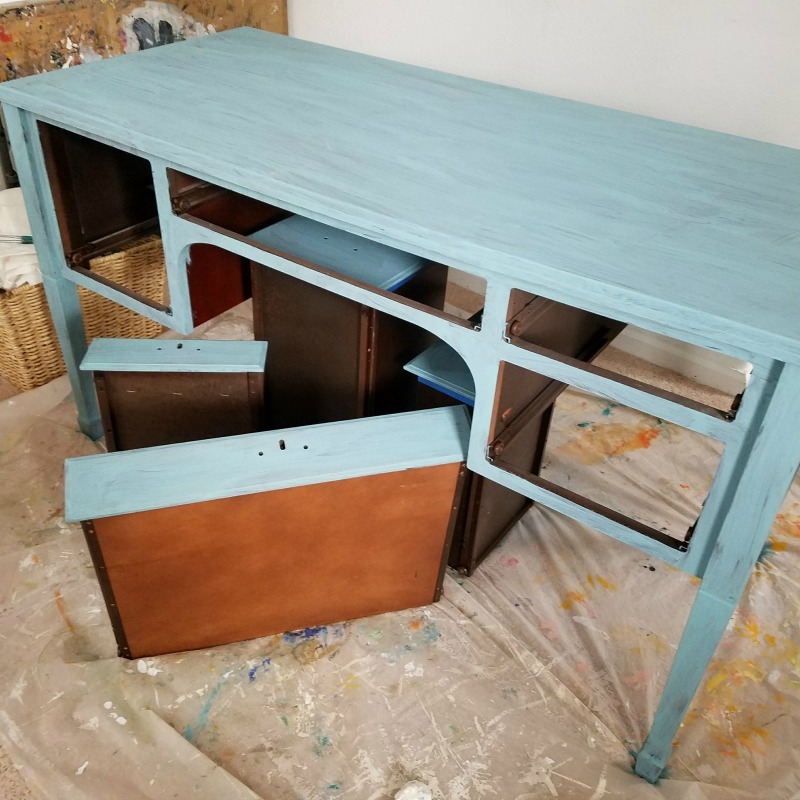 Another chalk paint thrift to perfection makeover. St. Vincent's treasure. And old Bombay Company piece. Beautiful sliding drawers, brass hardware, and oh so solid. Paid $45 (on sale). I buy this chalk paint at Joann's. Lovely! I always give it two coats...this is the first. After the second and final coat, and waxed and buffed. Ahhh....let's make some art! Gorgeous color and finish. 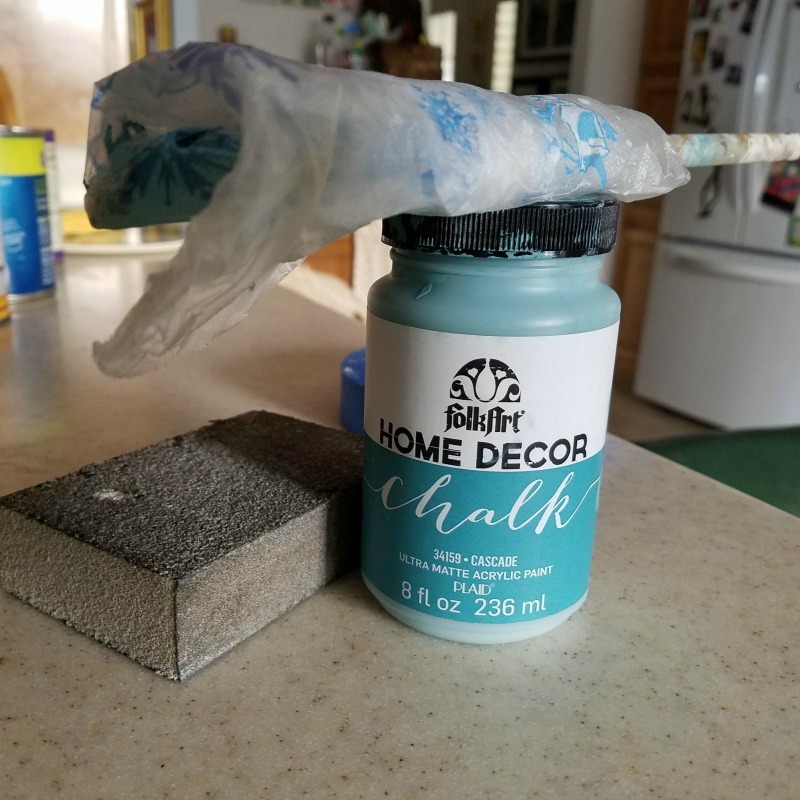 I have lots of questions, being a DIY person myself: How tough is that chalk paint, and you mentioned waxing it? Does that give it a protective finish, versus varnishing??? what kind of wax do you use?? Thank you "Spit Splice" for this additional information! Hi Gayle and Split Splice.....answer given. And double yes on wax....a grey alternative is minwax matte poly. Fab stuff. Zero smell. 3 coats on my dining table. 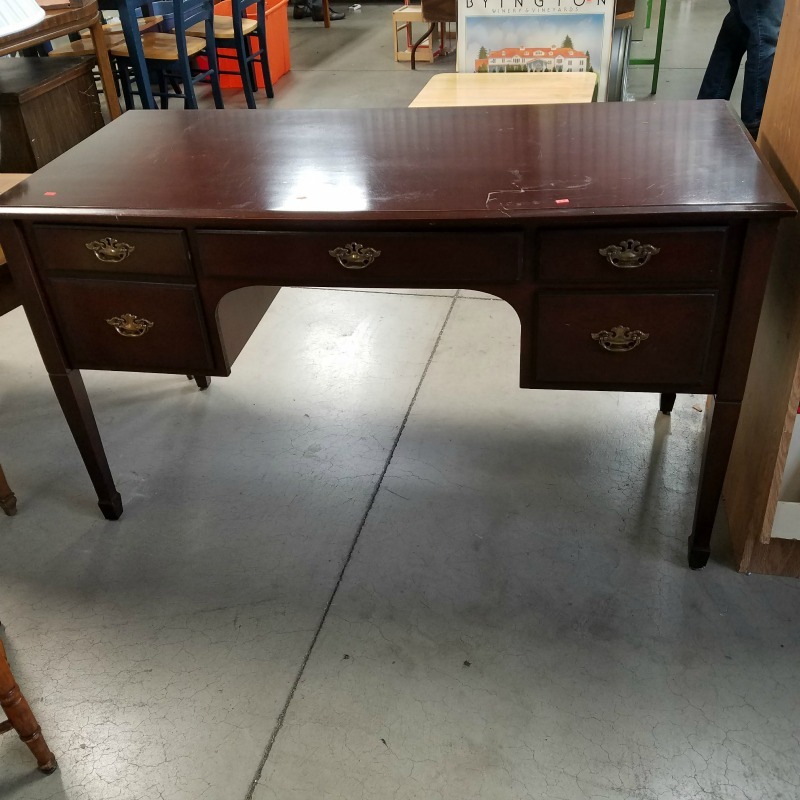 Wax on desk. Honestly I am not crazy about the chalk wax so far. I may just switch to min wax for future varnishing. The wax is a bit challenging to apply and I don't like having to buff. Seems like one too many steps. I love the ease of chalk paint. Little to no prep.